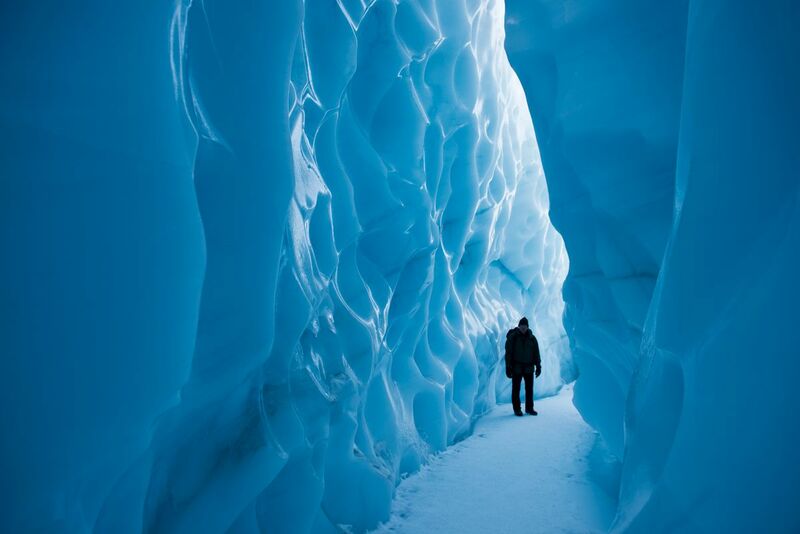 Whether you live in Alaska or are visiting, glaciers are one of the state's most awe-inspiring and unique attractions. 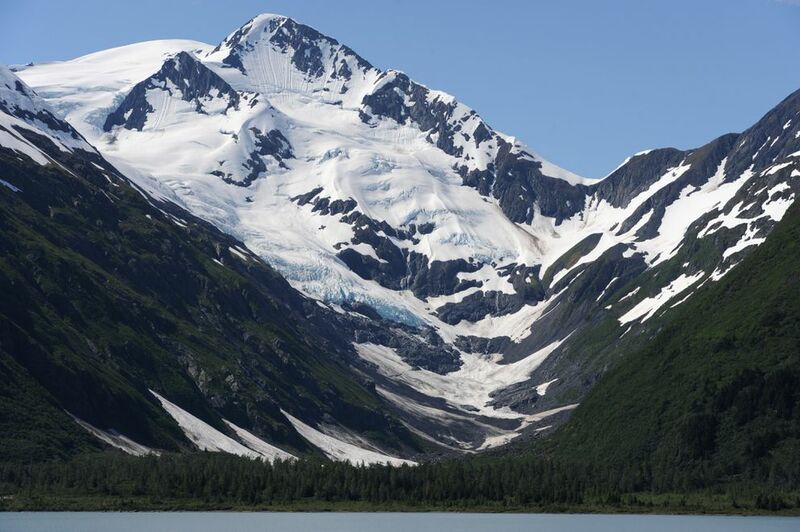 Alaska is, after all, home to most of the glaciers in the United States. 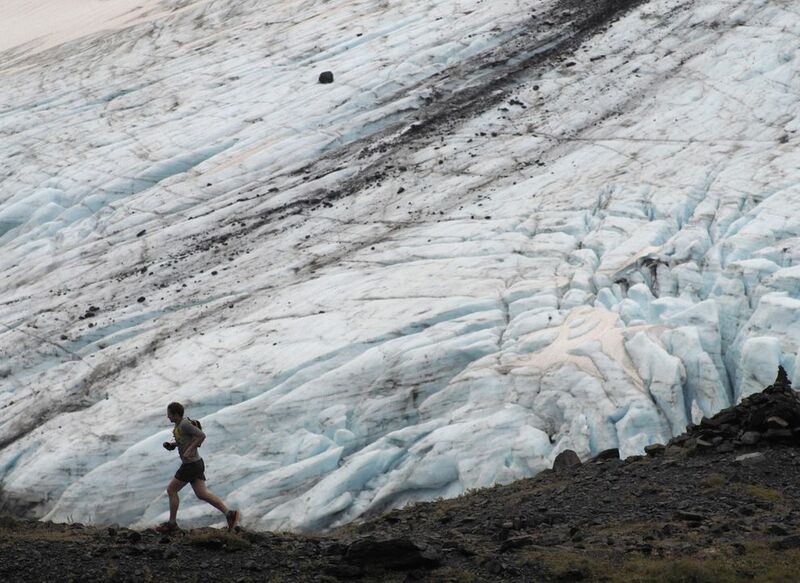 There are glacier trips for people of all ages and athletic abilities. We narrowed those trips down to the glaciers under 150 miles — or a two- to three-hour drive — from Anchorage. But before we get to the adventures, let's talk briefly about glacier safety. Michelle Dalps, a park ranger at Kenai Fjords National Park, urges all glacier travelers to bring warm, layered clothes, sturdy shoes or boots, and a windbreak layer. Glaciers are colder than surrounding areas, and often windy. Walking on glaciers can be dangerous unless — and sometimes even if — you have proper training and equipment. "Ice is unpredictable," Dalps said. Crevasses and moulins (deep holes) form in the glacier. Crevasses especially are not always visible. 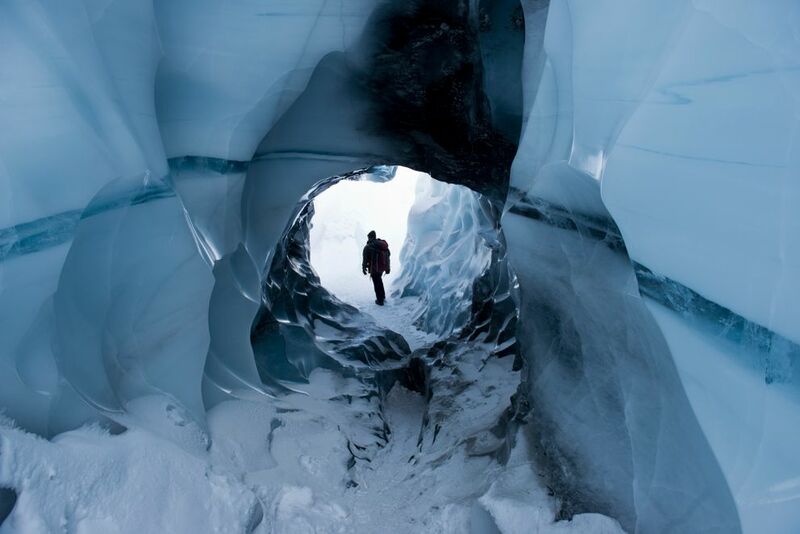 If you want to trek the surface of a glacier, you need to either know what you are doing (i.e. be an experienced outdoorsperson with training in glacier travel) or hire a guide. If you are on a kayak or boat near a glacier, stay half a mile away, as glaciers shift and calve without warning and create massive waves, Dalps said. Land on a beach at least a mile from a glacier, and camp 2 miles away. When walking around the toe (where the glacier ends), keep a distance of twice the glacier's height. Same goes for paddling around an iceberg. Got it? Phew. Now for the fun stuff. Disclaimer: This list explores some of the most popular glaciers and ways to see them, but for brevity's sake it does not include many of the tour operators that offer hikes, scenic flights, kayaking, etc. More information about tours can be found with a simple online search. About an hour's drive from Anchorage on the Seward Highway is Portage Valley and the Begich, Boggs Visitor Center. Two glaciers are easily accessible in the valley. Byron Glacier is touted as being highly accessible for all ages. The 1.4-mile trail is a flat, easy walk. The first half is well-maintained, with a wide path. The second half is rocky, and to get closer to the glacier, visitors must cross boulders and small streams. Then there's Portage Glacier. The glacier has receded out of view from the visitor center, but in the summer there's a daily cruise, and a pull-off where you can see the glacier from the road. 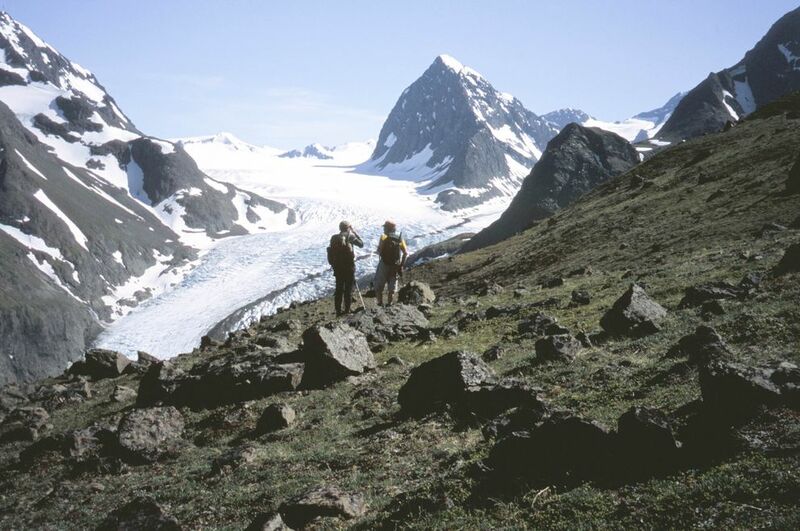 A little farther down the road, Portage Pass trail is a 4-mile round-trip hike with glacier views. During the winter, frozen Portage Lake is a popular spot for skiers and bikers traveling to the toe of the glacier, although there are no park rangers around in case of emergency. Continue down Portage Glacier Road another few miles — including a trip through the 2.5-mile-long Anton Anderson Memorial Tunnel — and you wind up in the town of Whittier. Columbia, Meares and Blackstone glaciers are just three of the oft-visited glaciers in the area. There are many different types of tours, kayaking opportunities and public-use cabins in Prince William Sound. About 60 miles southeast of Anchorage, Spencer Glacier is only accessible via the Alaska Railroad's Glacier Discovery Train, which runs daily from May 26 through Sept. 17. Visitors get off at the Spencer Whistle Stop in Chugach National Forest at 1:45 p.m. You can hike about 1.3 miles one way to the glacier viewing platform, or another 1.7 miles to the edge of the glacier (but be mindful of getting back to the train in time for the 4:40 p.m. pickup). Hike on your own or take a hike guided by a U.S. Forest Service ranger. Campsites and a cabin are open mid-June and can be reserved through the railroad. Tour operators offer guided kayaking, ice climbing or trips down the Placer River. The train continues past Spencer Glacier to Grandview, where Bartlett and Trail glaciers can be seen. There's a short, 20-minute stop before the train loops around and heads back to Anchorage. A train ride to Seward has the same glacier views. About an hour northeast of Anchorage is Eklutna Glacier, which provides most of the drinking water for Alaska's largest city. Part of Chugach State Park, Eklutna Lake Campground has a large campsite, bike and kayak rentals, and a trail system that leads out to the glacier. Glacier access is a bit of a journey — to get up close, take the Eklutna Lakeside Trail, 12.9 miles one way. The path follows the shore of the lake, then to the river and glacier. Alternatively, the Bold Ridge Trail is about 4 miles long with a steep 3,600-foot elevation gain that rewards you with glacier views. 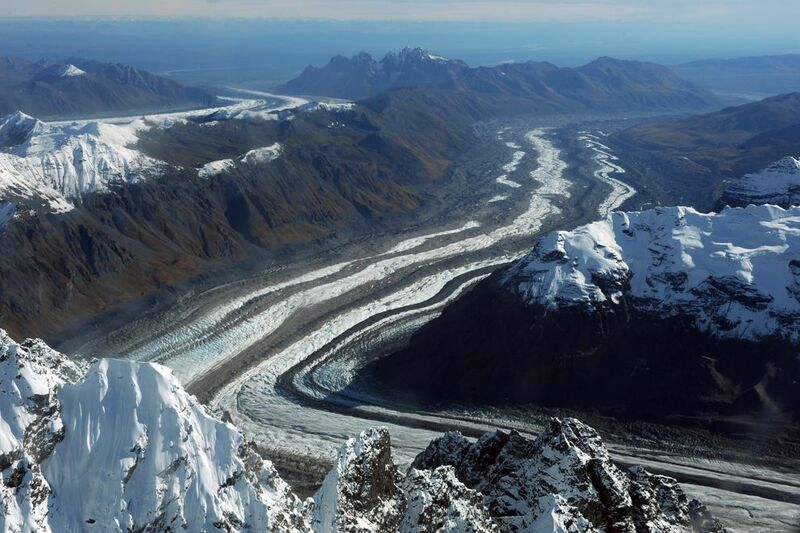 The Matanuska Glacier is about a two-hour drive on the Glenn Highway northeast of Anchorage. It's touted as one of the few major ice sheets in the world that visitors can drive to and explore on foot. The glacier itself is gigantic — about 26 miles long and 4 miles wide at its terminus. The Matanuska Glacier State Recreation Area has 12 campsites, and a 20-minute walk to glacier-viewing platforms, but no direct access to the glacier. The only road-accessible route directly to the glacier face is through property owned by Matanuska Glacier Park LLC. Tours are sold out of a gift shop and information center. Then, it's a short drive and hike to reach the glacier. Guided tours are available. The Glacier Park access costs $25 for Alaska residents, $30 for those from out of state in the summer. Winter access is $100 for first-time visitors, guided only. The South Fork Valley Trail is a relatively easy hike to Eagle and Symphony Lakes in Eagle River, about half an hour east of Anchorage. The hike is about 10 miles round-trip. Flute Glacier can be reached by walking to Eagle Lake, then heading another 2 miles up the valley to the toe of the glacier. A little over two hours north of Anchorage, the town of Talkeetna is the staging point for climbers heading to Denali. It also has flightseeing options for those who want to bask in the splendor of North America's tallest peak without climbing it. There are hundreds of unnamed glaciers on Denali, and 40 named ones, according to the National Park Service. The longest ones — Ruth, Kahiltna and Muldrow — are each more than 30 miles long. Multiple Talkeetna air taxi operators offer trips around the mountain. Some land on the different glaciers. 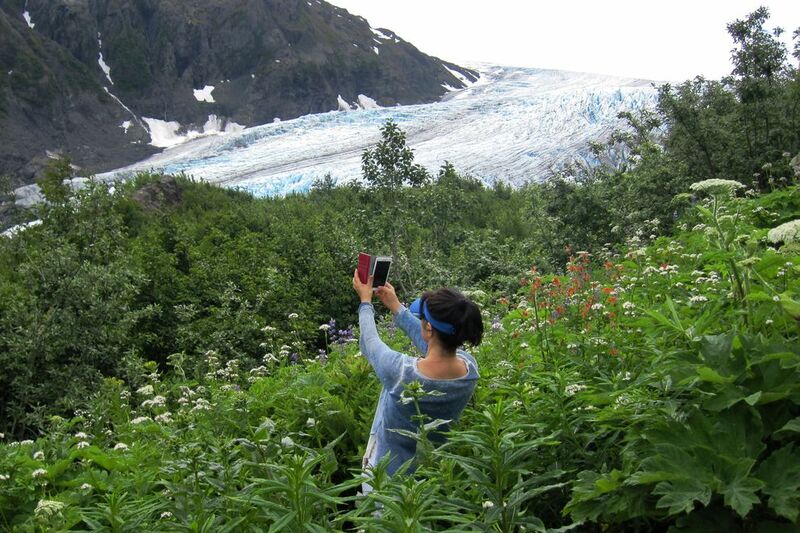 Exit Glacier is the only glacier in Kenai Fjords National Park accessible by road (and received a visit from former President Barack Obama in 2015). The Exit Glacier Nature Center is the starting point for a system of trails leading to the glacier. Those wanting more can make the strenuous 8.2-mile round-trip hike up the Harding Icefield Trail for spectacular views of the massive ice field. There's also a 12-site, tents-only campground near the nature center. Exit Glacier Road is only open to cars during the summer, usually mid-May. In the winter, snowmachines, skiers, dog sleds and fat bikes are still allowed on the road. Then, there's the rest of Kenai Fjords National Park. 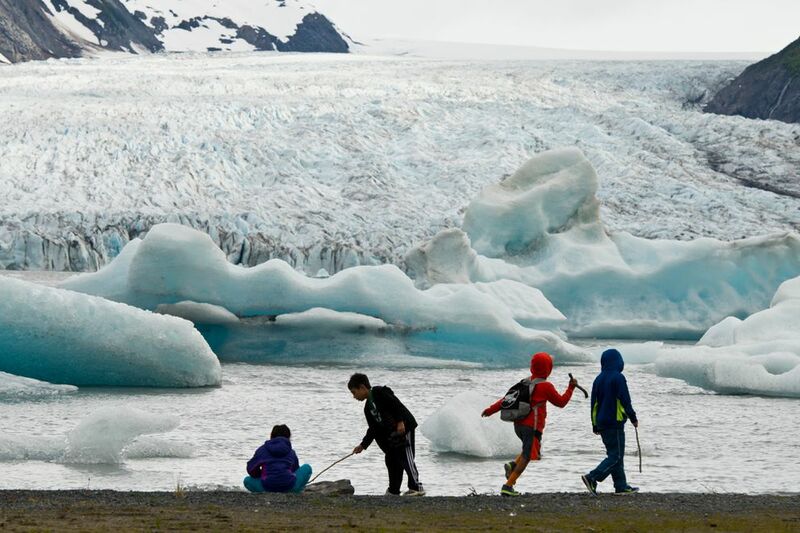 The park website highlights Bear Glacier Lagoon and boat tours that take visitors along the park's tidewater glaciers. Excursions to Knik Glacier in the Matanuska-Susitna Borough exploded in popularity this winter, with fat-bikers taking a northern route that crosses a river. Summer access comes by way of Knik Glacier Trail. 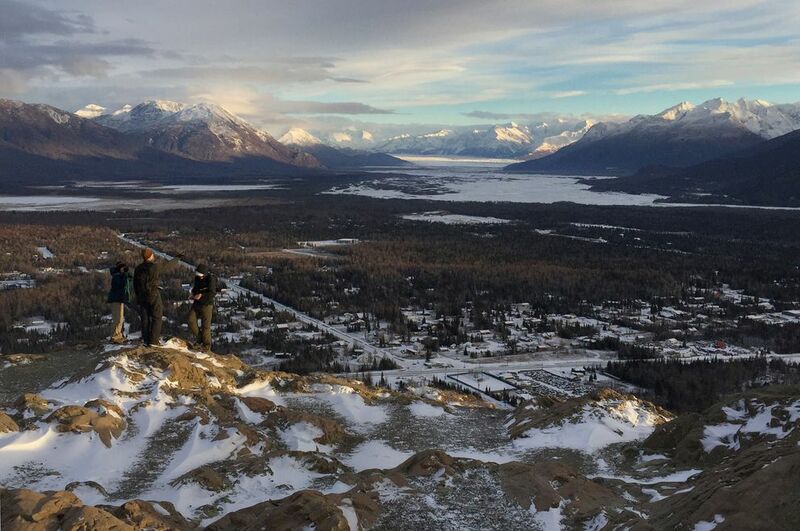 There's an 8-mile trail starting from Knik Glacier Tours that requires river crossings. Biking and boating are common. Tours are also offered through Knik River Lodge. There's also flightseeing available to Knik and Colony Glacier. Raven Glacier can be seen on the 23-mile Crow Pass Trail, which has trailheads at Girdwood (40 miles from Anchorage on the Seward Highway ) and the Eagle River Nature Center (about 26 miles east of Anchorage). This hike is recommended from late June to early September due to snow and avalanche danger. For a glacier view with an 8-mile round trip, start from Girdwood's Crow Creek trailhead. Hikers follow a series of switchbacks uphill, passing Jewel Glacier to the east of Crow Pass Cabin, and eventually arrive at Crow Pass and Raven Glacier. Hikers can continue on past the glacier, or turn around. About 80 minutes north of Anchorage is the Hatcher Pass Management Area, a popular recreational area. Gold Mint Trail is a 16-mile round-trip journey that follows the Little Susitna River to the Mint Glacier Valley, where hikers can follow a fairly undeveloped trail up to Mint Glacier. There's also good glacier viewing — and traversing — on the multiday Mint-Bomber Traverse for more advanced outdoor explorers.